It could be worse: Archie could be saving a single immigrant lesbian adoptive mother from Pastor Gary Cass. All the same, expect Mission America's Linda Harvey to be pissed ... and the rest of Right Wing America. The iconic Archie Andrews will end his life by saving his gay (senator) friend from a bullet. LOS ANGELES, Calif. - For the fans of Archie Andrews, his impending death marks a fitting end for the do-gooder comic book icon. 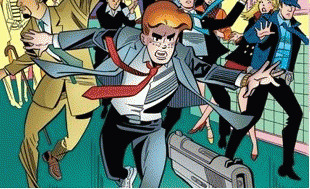 The famous 73-year-old red-headed comic book character will die in Wednesday's installment of "Life with Archie" when he intervenes in an assassination attempt on senator Kevin Keller, Archie Comics' first openly gay character who is pushing for more gun control in Riverdale. Andrews' death was first announced in April and will mark the conclusion of the series that focuses on grown-up renditions of Andrews and his pals. It's a startling double-punch for the comic book character: the themes of social justice and gun control are so blatantly featured that the Right (Christian or otherwise) will be fuming and foaming. The 73-year-old Archie Andrews has implanted itself on the American pop culture scene like no other comic book character: there are dozens of Archie pin-offs and franchises and the Archie website has garnered over 40 million views. The Life With Archie series has been perhaps the most dramatic, focusing on adventure stories and highlighted with social issues. It centered on an Archie beset with career and marital problems. And although it also featured a parallel universe with Archie and the gang poised as super-heroes, the underlying tenor was Archie trying to do the right thing. It is ironic that perhaps Archie Andrews' moral character is the problem for Right Wing (esp. 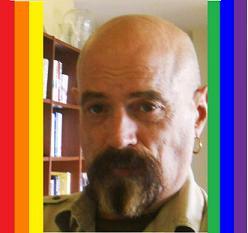 NRA) America: according to Pastor Gary Cass, as a Christian, Archie should have been carrying a gun and according to Joseph Farah (WND), Archie should have been disgusted with the Senator's lifestyle in the first place, opining that he was probably part of the "Gaystapo". For former General Jerry Boykin, it would definitely not be a WWJD moment. Certainly not HIS Rambo Jesus. Of course, comic strips/books with a particularly leftist, socialist bent are not new, the legendary Doonesbury by Gary Trudeau coming to mind. But upon further investigation, characters such as Orphan Annie ushered in a social conscience during the Roosevelt years. Bringing Up Father (main characters Jiggs and Maggie) focused on the problems of the nouveau-riche starting 1911. In lampooning Republican/patrician mores of the times, comic strips and comic books took a decidedly left-wing worldview. Andrew Wheeler, who writes about the comic book industry at ComicsAlliance.com, praised the way that Andrews will be killed off. He wrote on Monday that "Archie's sacrifice isn't just a moment of heroism; it offers an unambiguous condemnation of America's lax gun laws" and said that it's "not surprising to see Archie Comics tackling such a serious issue" because the publisher "doesn't shy away from risky ideas." How risky, however, may be the key to the upcoming reaction to Archie's demise. It seems that the Right has not yet indicated just how furious it is at Riverdale's permanent teenager heroism. It may just point to a diseased society and the NRA may just dismiss it as a gun control ploy. Farah, Beck, Starnes and Bachmann may even sniff "conspiracy". Whatever the reaction, the next days may prove to be even funnier than the "funny papers" that generated Archie.